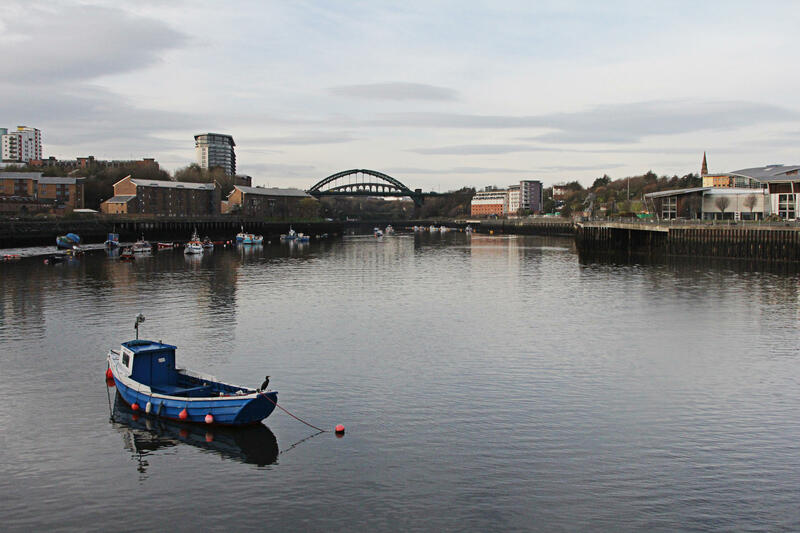 The river banks in Sunderland here were once home to shipyards, but like the city's coal mines, they disappeared. 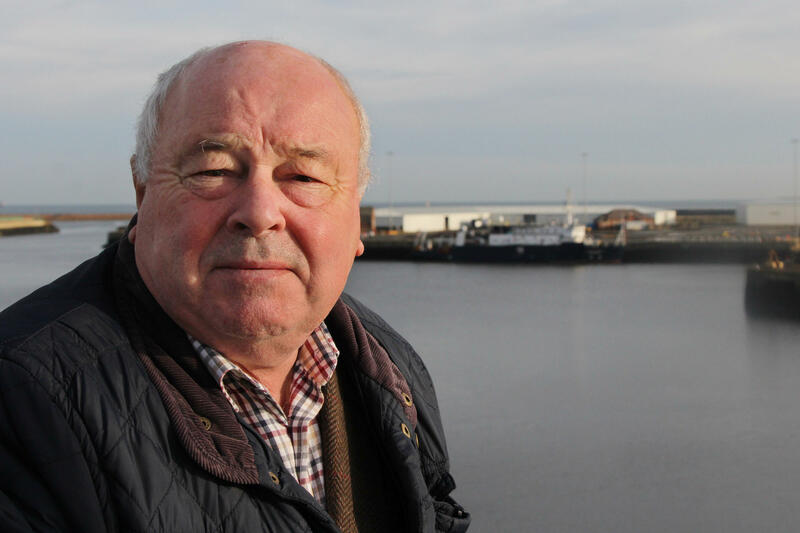 In June, the voters of Sunderland voted by more than 60 percent to leave the European Union, even though it would put tens of thousands of local jobs at risk. Bailey Baker is a law student at the local university. He warned his father, Derek, against voting to leave the European Union for fear his dad could lose his job with an auto parts maker because of post-Brexit tariffs. Former Sunderland Mayor Leslie Scott voted to stay in the European Union. Among other things, he worried about the damage Brexit could do to the city's major private employer Nissan. Voters in the English city of Sunderland did something extraordinary last June. They voted by 61.3 percent to leave the European Union, even though it put tens of thousands of local jobs at risk. Why would so many people vote against the economic interests of their hometown? The answer lies in factors that also figured in the American presidential race: opposition to immigration and a perceived threat to white identity. Sunderland's largest private employer is the Japanese carmaker Nissan. The company first came here in the mid-1980s, because the United Kingdom's membership in the EU allowed the firm to export cars to the European continent, tariff-free. Today, Nissan and its network of suppliers employ an estimated 30,000 people in the area. By voting for Brexit, residents were threatening Nissan's business plan. Predictably, Nissan responded with a threat of its own: no more investment unless the U.K. government offered protection from the damage that Brexit could inflict on its balance sheet. Fearful of losing a crucial employer, the U.K. pledged to help Nissan remain "competitive," which most people took as a promise to protect it from any costs imposed by Brexit. Nissan then announced it would put two new models in the Sunderland plant. Meanwhile, the government has not, so far, disclosed any details to the public about whether that commitment includes financial support. So the crisis has been averted for now. But for many in Sunderland, this was a cautionary tale about how populist politics can put an economy at risk. "It caused us sleepless nights, we were depressed for weeks," said Denise Walter, a committee member at the Philadelphia Cricket and Community Club, where some Nissan workers hang out. Sunderland is part of England's industrial heartland — the equivalent of Michigan or Ohio in the U.S. Like communities in those states, Sunderland has watched industrial jobs disappear over the decades, as the city's ship-building business moved to East Asia and its coal mines closed. Walter saw the Brexit vote as a self-inflicted wound Sunderland couldn't afford. "Our local [council members] have worked very hard trying to bring initiatives like this to the northeast," she said, "and this was just throwing everything away." Among those who voted for Brexit were people who rely on Nissan for their livelihoods. Derek Baker works for one of Nissan's parts suppliers and voted out because he wanted the U.K. to tighten its borders and limit immigration. Baker declined to speak with NPR, but his son, Bailey, a law student at the University of Sunderland, shared an exchange they had on the issue. 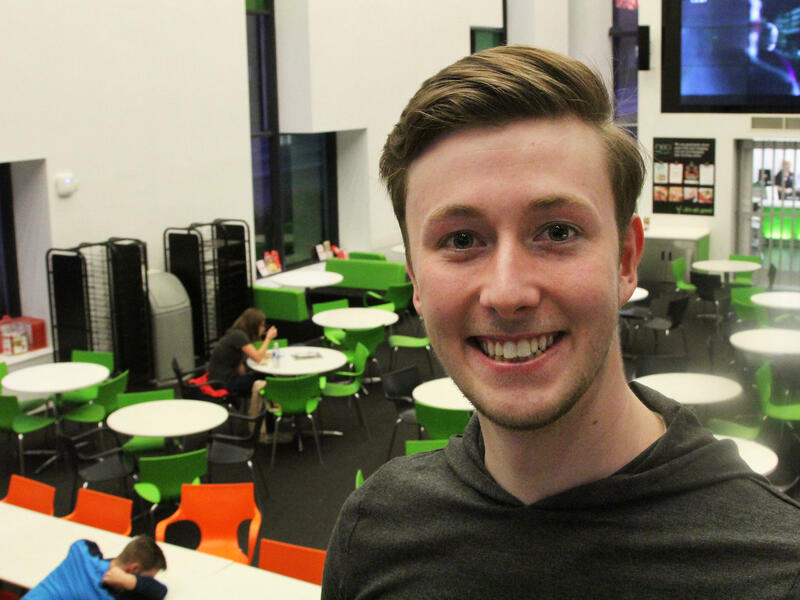 Bailey Baker warned his father that by voting for Brexit, he was putting his own job at risk. "Nissan will never leave, they've invested so much into the plant already," his father replied. After Nissan threatened to halt further investment, "He didn't speak for a couple of days," said Bailey Baker. "I said, 'I told you so, Dad.'" To appreciate what drove some of the Brexit vote here, it's helpful to visit the Humbledon and Plains Farm Working Men's Club, which offers pool, darts and cheap beer to a local blue-collar community. On Election Day, it also serves as a polling station. About 200 people voted here in last year's general elections, according to local officials. Turnout for June's Brexit referendum was nearly 40 percent higher. That caught the attention of Leslie Scott, a former city mayor who monitored the polls for the Brexit referendum. "My lasting memory of this polling station was them coming in and saying virtually every time, 'What do we do?'" Scott recalled. "So, we were obviously experiencing people who'd never ever voted in their lives." Scott also noticed voters proudly displaying patriotic symbols like the Union Jack, the flag of the United Kingdom, which some U.K. white nationalists have co-opted in the past. "We knew then that something was different about this election," Scott said, referring to the Brexit vote. One recent evening, a couple of dozen white-haired women descend on the club for country line dancing. They two-step and spin across the worn, parquet floor past a stage draped in American and Confederate flags. Tommy Wardropper, who is sitting in the bar, says he backed Brexit to keep foreigners out. "We don't want more of them coming in, Muslims, immigrants. Closing our borders would be better for our country," says Wardropper, who works as a plumber. Wardropper followed the U.S. presidential race and is a big fan of the president-elect: "I love Trump, because he's going to get rid of all the alien Muslims." Wardropper is wearing a soccer jersey featuring a red cross on a white background. It's known as the St. George's Cross and serves as the flag for England, separate from the Union Jack. Wardropper is proud of his English heritage but says cherished symbols like this are increasingly under attack in multicultural Britain. "We can't even put the George cross in our bedroom windows!" Wardropper complains. That's not true. Even on the drive to the club, two English flags are visible outside nearby homes. When this is pointed out, Wardropper counters: "Well, you can [show the flag], but it upsets the Muslims." Dan Evans, one of Wardropper's drinking buddies, also voted for Brexit because he was tired of the United Kingdom having to follow EU law. Evans also complains that Muslims get special treatment on construction sites because of their faith. Evans spent two years building a paint factory inside the Nissan facility. Like Derek Baker, he gambled that Nissan was too heavily invested in Sunderland to shut its doors. And so far, that bet has paid off. Many here, though, wonder how long Nissan will remain committed to Sunderland and are concerned about the message the Brexit vote here sends. Unlike most patrons at the working men's club, Nigel Lee voted to stay in the European Union. Lee says support for Brexit in this community was driven by one thing above all. "The main reason up here voted to go out was racism," says Lee, a plain-spoken 72-year-old. For instance, Lee says, some people resent that a nearby Muslim community keeps to itself, but fail to recognize they do it in part for their own protection. "The Irish have done it, the Jews have done it, they all live in separate enclaves," says Lee, nursing a whisky and lemonade. What's clear in this community is that many are determined to keep it white — and were willing to put the city's economy at risk to do so. The English city of Sunderland voted overwhelmingly last summer to leave the European Union. That vote put thousands of jobs at risk at Nissan, Sunderland's biggest private employer. So why would people vote against their economic self-interest? Well, NPR's Frank Langfitt found the answer lies in part with opposition to immigration and a perceived threat to white identity. FRANK LANGFITT, BYLINE: The Humbledon and Plains Farm Working Men's Club offers pool, darts and cheap beer to a local blue collar community. On Election Day, it also serves as a polling station. About 200 people voted here in last year's election. Turnout for June's Brexit referendum was nearly 40 percent higher, which caught the attention of Les Scott. He's a former city mayor who monitored the polls that day. LES SCOTT: My lasting memory of this polling station was them coming in and saying virtually every time, what do we do? So we were obviously experiencing people who'd never ever voted in their life. LANGFITT: Scott also noticed patriotic symbols like the British flag, which some white nationalists have co-opted in the past. SCOTT: The national symbols of the Union Jack, which are reasonably common in this area, were being very proudly displayed. We knew then that something was different about this election. LANGFITT: One recent evening, a couple dozen white-haired women descend on the club for country line dancing. They two-step and spin across the worn parquet floor past a stage draped in American and confederate flags. Tommy Wardropper's sitting in the bar chatting with friends. Wardropper, who works as a plumber, backed Brexit. The reason? To keep foreigners out. TOMMY WARDROPPER: We don't want more of them coming in - Muslims, immigrants. Closing our borders would be better for our country. LANGFITT: Have you guys been following the election in the United States? LANGFITT: Why do you love Trump? WARDROPPER: 'Cause he's going to get rid of all the alien Muslims. LANGFITT: Wardropper wears a soccer jersey featuring a red cross on a white background. It's the St. George's Cross, the English flag. Wardropper's proud of his English heritage, but he says in multicultural Britain, cherished symbols like this are increasingly under attack. WARDROPPER: We can't even put George Cross flags in our bedroom windows now. LANGFITT: Wardropper says he's not even allowed to put the flag in his window. That's not true. Driving to the club, we passed two English flags outside homes. Wardropper counters. WARDROPPER: Well, you can, but it upsets the Muslims. LANGFITT: Dan Evans, one of Wardropper's drinking buddies, also voted for Brexit. He's tired of the United Kingdom having to follow EU law. And he also says Muslims get special treatment on construction sites because of their faith. Evans spent two years building a paint factory inside the Nissan facility. And so I asked him, how important is Nissan to this economy do you think? DAN EVANS: Oh, massive. It employs about - over 7,000 people. LANGFITT: When you voted to leave, were you worried at all that Nissan might pull out? LANGFITT: Evans gambled that Nissan was so heavily invested in Sunderland, it wouldn't shut its doors. After the vote, Nissan threatened to halt further investment here, forcing the U.K. to promise to protect it from any costs imposed by Brexit. Unlike most patrons of the club, Nigel Lee voted to stay in the European Union. The plain-spoken 72-year-old is nursing a whiskey and lemonade near the bar. Lee says the way he sees it, support for Brexit in this community was driven by one thing above all. NIGEL LEE: And I think the main reason people voted was racism. LANGFITT: For instance, Lee says some people here resent that a nearby Muslim community keeps to itself. LEE: And everybody says they live separate lives, well, if they're going to get beat up they're going to - the Irish done it, the Jews done it. They all live in separate enclaves. LANGFITT: If you're struggling with Lee's accent, what he's saying is that Muslims cluster together because they're worried about their safety. And the minorities, including Irish and Jews, have often settled in ethnic enclaves. What's clear in this community is that many here are determined to keep it white, and were willing to risk Sunderland's economy to do so. Frank Langfitt, NPR News, Sunderland. Transcript provided by NPR, Copyright NPR.